With the right travel companion, big cities can feel wonderfully intimate—and these stole the hearts of T+L readers. Consider yourself warned: Charleston, SC, is hard to shake. The Travel + Leisure community doesn’t need convincing. 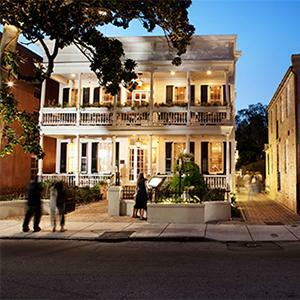 Charleston, with its cobblestoned streets, genteel mansions, and dynamic food scene, took top honors as the best city for a romantic escape in the America’s Favorite Places survey. Readers ranked cities in up to 67 categories, including wine bars, parks and gardens, live music, and brunch—the kinds of offerings that often attract couples. Whether you’re looking to steal away for a weekend with your longtime honey or spark a new relationship, these cities will set the mood for love. It’s easy to feel you’ve stumbled upon a movie set as you wander the oak-lined streets of this charming inner-harbor city, which also took top survey honors for its architecture. Even hardened hearts fall under Charleston’s sway, between the antebellum mansions, horse-drawn carriages, and creative Lowcountry cooking. At much-praised Husk, James Beard Award–winner Sean Brock honors the area’s heritage, serving produce he raises from heirloom seeds. Hotels do their part to win over visitors, from quaint B&Bs to the 21-room Wentworth Mansion, with original Tiffany glass and gas fireplaces. Taken together, sun, sand, and surf are powerful aphrodisiacs and helped earn Honolulu the silver medal for romance. Relaxing is what island life is all about, so put your towel down on fabled Waikiki Beach and dig your toes in while watching the surfers and outrigger canoes—or engage your partner in some healthy competition on the water. 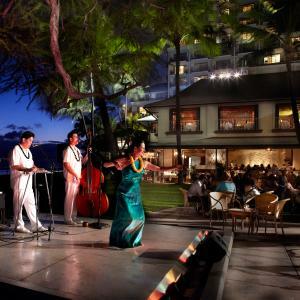 For a classic Hawaiiana experience, order a round of mai tais while musicians play at House Without a Key and the sun sets over Diamond Head and another day in paradise. Like the fog in summertime, romance hangs thick in the City by the Bay. Stroll through Golden Gate Park and then cross the Great Highway to watch the surfers at Ocean Beach. For exquisite nighttime views of the Bay Lights installation on the Bay Bridge, settle in to one of the waterfront restaurants at the Embarcadero (Waterbar is known for its oyster bar). 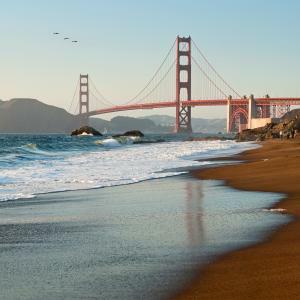 San Francisco is also less than 90 minutes from Napa and Sonoma valleys, earning it the No. 1 ranking among cities for wine lovers. Couples new or old will be hard-pressed to resist New Orleans’ sensual charms, starting with its food. The city took top honors in the poll for notable restaurants, from Galatoire’s (for Louisiana Creole) to relative newcomers like Domenica (for sophisticated Italian). 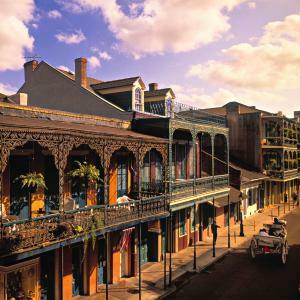 Choose the rhythm that suits you two: a leisurely walk through Jackson Square; listening to live jazz on Frenchmen Street; falling into the “second line” in a Sunday-afternoon brass-band parade in the Tremé; or diving into the mile-long nighttime party on Bourbon Street. Readers ranked San Diego No. 1 for its weather, which remains enviably sunny and mild year-round. Maybe not surprisingly, the city also received No. 2 honors for both its athletic and attractive locals. 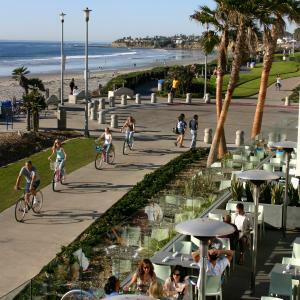 No location brings all of those elements together like Pacific Beach, where you’re either cruising the three-mile boardwalk on your bike or Rollerblades, or watching those who do. After nightfall, head to downtown’s historic Gaslamp Quarter for dinner at Bice followed by cocktails at one of the many rooftop bars. Click here to see the rest of this AMAZING list. What cha think? Are any of these cities worthy of adding to your bucket list? There are a few being added to mine! Tell us what you think of this list below. I agree, as well. Hawaii, San Fran, and New Orleans are bucket list cities for me. Thanks for your input! Good list, although I would add Savannah as well. Very similar to Charleston. Thanks for the post! Awwwww mannnnn. You are so right about Savannah! I went, for the very first time, for this past New Year’s Eve. LOVED IT! Can’t wait to go back when its warm out! Thanks for commenting! Yes! Great blog! Charleston and New Orleans are on my radar to visit within the next year. Thanks for sharing Hospitality Shero! Previous PostOur Very Own Employee Saves a Condominium Resident from an Assault! Next PostCompetence is a RARE Commodity!